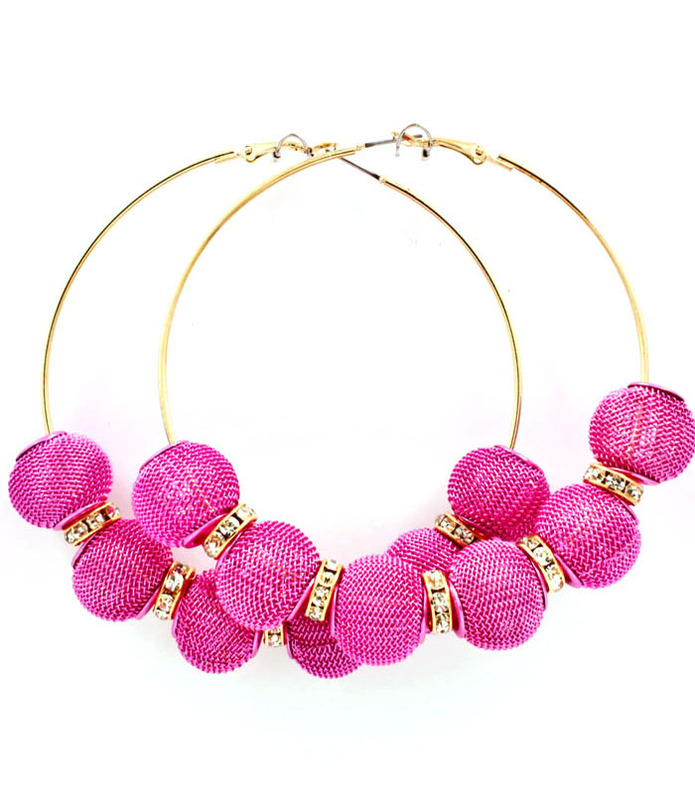 Made for hot fun in the Summertime, the Jill's are a classic gold hoop earring adorned with six hot pink mesh balls separated by sparkling crystal spacers. The perfect pop of colour for your cocktail-sipping escapades. Oz Bling's online jewellery store brings you a diverse and extensive range of fashion accessories.